EHA Soft has a seasoned management team with deep management and technical experience. Our team of scholars and senior managers comes from the ranks of leading global organizations bringing vision, leadership, and innovation to our clients. Dr. Gallagher is founder and Managing Director for EHA Soft. Since its inception in 2002, Dr. Gallagher has provided product strategy, innovation, and practical experience to EHA Soft’s team. Dr John Gallagher is a Specialist in Occupational Medicine. He is a Fellow of the Royal College of Physicians of Ireland and a Fellow of the Faculty of Occupational Medicine of the Royal College of Physicians of Ireland. He has a Masters degree in Occupational Health from the Institute of Occupational Health University of Birmingham and was the inaugural John Darwall Prize winner there in 1991. He has held a number of posts with the Faculty of Occupational Medicine including those of Vice Dean, National Specialty Director and he was elected Dean of the Faculty in 2004. Dr Gallagher has been in full time occupational medical practice since 1991 and has wide experience of occupational health in a variety of settings including internationally, he has been involved with the Faculty of Occupational Medicine examinations in Kuala Lumpur Malaysia for a number of years. He is currently Managing Director of Employment Health Advisors, a multidisciplinary occupational health and safety consultancy established in 1992. He is the Head of the Occupational Health Department for the Health Services Executive Southern Area. He is a College lecturer in Occupational Medicine at University College Cork and is the Academic Director of the Diploma in Safety, Health and Welfare at Work at the University. He is also an examiner and a Specialist Trainer for the Faculty of Occupational Medicine. He has published in a number of peer reviewed journals in the field of Occupational Medicine and contributes on a regular basis to periodicals and conferences nationally and internationally. Dr. Hogan is a Medical Doctor specializing in Occupational Medicine. He graduated in 1987 at UCC and trained as a specialist in Occupational Health in the University of Manchester, UK. He is the current national specialty Director in Occupational Medicine responsible for training specialist in Occupational Medicine. Dr. Hogan lectures in Occupational Medicine and is a specialist trainer and examiner for the Faculty of Occupational Medicine of the Royal College of Physicians of Ireland. He sits in a number of expert committees in the Pharmaceutical industry, including Johnson and Johnson Europe. He is also a consultant occupational health advisor to the Health and Safety Authority in Ireland (OSHA equivalent in USA). James joined EHA Soft Solutions at the end of March 2008 as their Chief Financial Officer. He qualified as a Certified Public Accountant (CPA) in 1985, and subsequently set-up his own successful Auditing & Taxation practice in 1990. He has vast knowledge and experience in company & business set-up, auditing and taxation. James is also director of Complete Management Consultancy Ltd., a company which specializes in providing management expertise to start-up companies. Mr. Anthony is an Electrical Controls and Software Engineer experienced in managing and implementing large automated control systems. Redmond has been responsible for turnkey projects for companies such as PepsiCo., Buckeye Technologies and Pfizer. Redmond is also a founder Director of Integrated Control Solutions Ltd. with Denis Kennedy, a Cork based company employing 30 engineers and staff. Mr. Kennedy is an Automation Engineer with extensive knowledge of data collection, storage, and retrieval across manufacturing and quality systems. He is currently involved in a corporate rollout of a data gathering and information management project from Ireland to Puerto Rico and Texas. 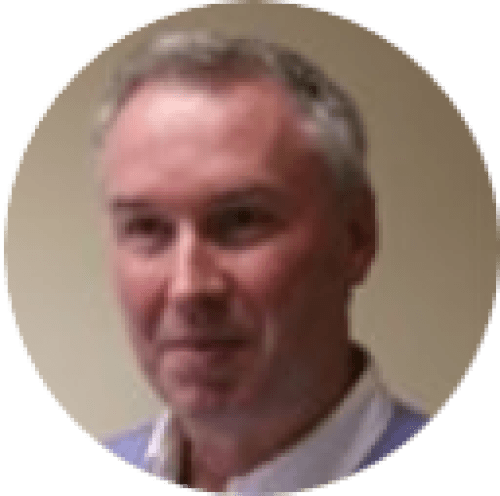 Denis is also founder and Managing Director of Integrated Control Solutions Ltd, a Cork based integrated solutions provider to Food, Beverage, Pharmaceutical and Healthcare Industries for SCADA and PLC’s. They are distributors for Allen Bradley/Rockwell Automation, SICK safety equipment and scanners, Wonderware (InTouch). a range of tools to help you manage your contractors, in a simple and effective manner.